If you or your St Louis business is looking for a way to add a unique dimension to your home or business a custom awnings might be what you are looking for. In St Louis Missouri let S.O.I. Outdoor Sign Company be your one stop shop for all your St. Louis Mo. custom awning needs. 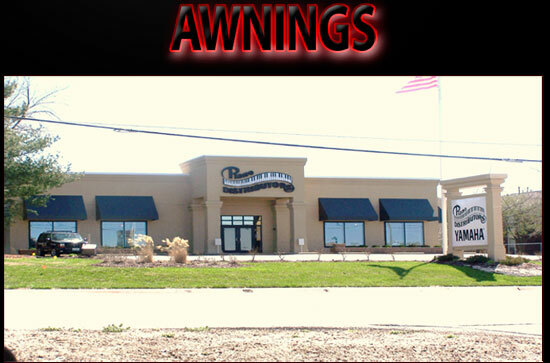 Our specialties are both commercial awnings and residential awnings in the St. Louis area. Custom Awnings are a great way to enhance the look of your business or home by adding appeal, color and dimension. In addition to enhancing the look, they provide great energy savings benefits while protecting your furniture, floors and carpets from fading. Awnings provide an economical means to increase the visual appeal of any office, or business. High quality custom residential awnings can transform a home's appearance as well as protect furnishings, reduce energy expenses and increase usable square footage. We are dedicated to providing our customers with innovative designs, superb craftsmanship, excellent service and competitive pricing. Some of the other advantages of awnings: •	A natural way to help shade and cool your home or business •	Helps cut costs on your energy bills, since awning fabric doesn't trap heat and moisture you could see as much as up to 25% savings on your air conditioning bill •	Fact air conditioners run more efficiently when coupled with awnings •	A low maintenance addition to your home or business as well as being a customized timeless investment •	Reduces amount of heat that comes through glass windows, windows are responsible for allowing 48% of solar heat into your home or business, and that is almost half of your heat battle! •	The American Society of Heating and Air Conditioner Engineers show that an awning can reduce heat gain by 55 to 65 percent on southern windows, and on western windows up 72 to 77 percent in the summer season. •	Can help lower your temperature indoors anywhere between 8 to 15 degrees, helping your air conditioning be more effective •	Allows you to enjoy & entertain outside while being in the comfort of the shade on top of giving you excellent UV protection on the sunniest days •	Awnings will also help protect your indoor furniture and art from the sun's UV rays that may cause fading Custom awnings come in many different shapes, sizes and types. One of the hottest trends right now for homeowners in St. Louis Missouri is the Retractable Awnings. With all of the same practical benefits of fixed awnings, retractable awnings have the added flexibility of providing shade on demand. We specialize in high quality custom retractable awnings for patios, windows and doors, including motorized awnings, manual awnings, drop arm awnings and much more. These types of residential awnings are great because they are only there when you need them. Basically, residential retractable awnings are as the name suggest, retractable. These custom residential awnings mount on the wall of your business or home and they will extend to cover your outdoor space. These custom awnings can also be used for commercial applications. Whenever a decision is made to move forward with your custom awning project, we would like to speak with you! 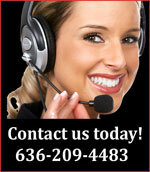 Contact us today 636-209-4483.